Some of the brightest and most innovative minds in the world of security are meeting in Dallas this week to address today's most prominent threats. The ASIS International conference seeks to connect people in law enforcement, private security and other security-related fields to share best practices, personal lessons and new technologies for combating terrorism and other major crises. This year, the conference is taking place at the Kay Bailey Hutchison Convention Center. Thousands are expected to attend. "I'm passionate about this," said Ed Davis, former Boston Police Commissioner, who led the department during the Boston Marathon bombings. "I really enjoy the opportunity to tell people what worked for us, what didn't work for us and how they can use those lessons in their own lives." 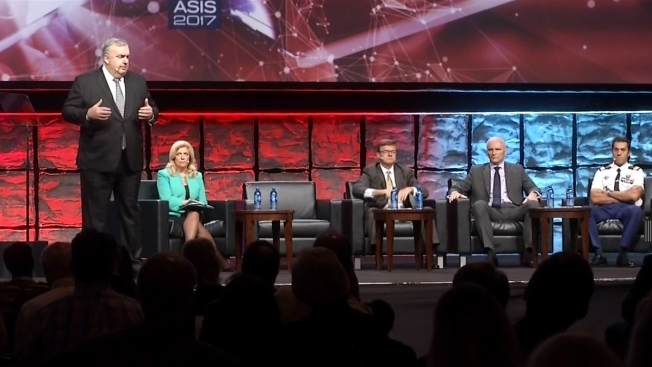 Davis spoke during a panel discussion at the conference Wednesday alongside other law enforcement officials who've overseen the responses to recent terror attacks across the world. During his talk, Davis repeatedly expressed how critical his department's prior training exercises and their established relationships with other local, state and federal agencies were in successfully identifying and locating the bombing suspects. "You have to prepared," Davis said. "Make sure that things are in place so that any kind of an incident that occurs, you're going to be able to respond to it. It might not be a terrorist event. But a terrorist event is a good lesson as to how you can be prepared to deal with uncertainty in emergencies day in and day out." In the years since the bombings, he believes that cities and countries across the world have made positive strides when it comes to security. And he credits events like ASIS for making that happen. "All of this stuff is evolving day by day," Davis said. "These security people are paying attention to that and preparing so they are in the best position possible to protect the people they're responsible for."